Like clockwork, Reddit user, DeftonesBandPSN has revealed the trophy list for the upcoming PlayStation 4 exclusive, Days Gone. (It’s recently gone gold!) That Reddit user has been quite reputable in the past, so we have no reason to doubt them this time. The list includes 46 total trophies, with 28 Bronze, 15 Silver, 2 Gold, and a fat Platinum available. From the look of it, the list seems quite doable, with typical collectible, upgrades, story, and kill trophies making an appearance. We’ll post the list below and, as always, please beware of minor spoilers. 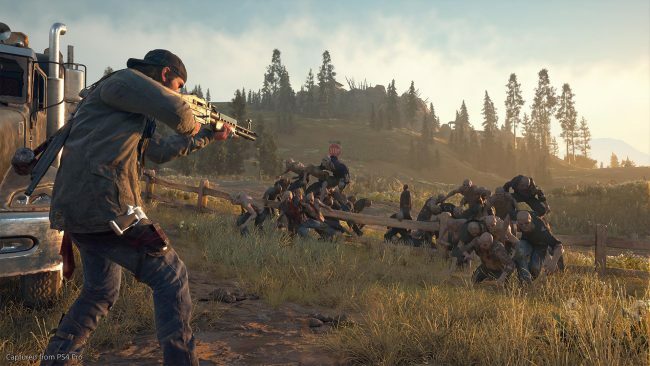 What do you make of the Days Gone trophy list? Does it seem too easy or just right? Think you’ll go for the Platinum trophy? Let us know!